Underground tin mining in Cornwall has been recorded from the medieval period onwards, although tin streaming (exploiting alluvial tin) has been practised for many centuries. Indeed, there are legends of Phoenicians trading with the Cornish people for tin. The mining of copper ore began in the Tudor period, and eventually, by the mid 19th century, more copper would be mined in the county than tin. In the 17th century, demand for tin was increasing, not least because it's the primary component of pewter, the favoured material for everyday tablewares. Later, the demand for copper alloy (bronze) — used at the time to make accurate machine parts, as it's more workable than iron — made Cornwall's possession of both metals important. The peak of mining activity in Cornwall would be reached in the mid 19th century. The main obstacle preventing Cornish miners from exploiting deep lodes was water. Deep underground mines usually require pumping arrangements of some sort, but many of Cornwall's mines are near the coast, with the added complication of tunnels stretching out under the sea. An efficient means of pumping water from the passages was imperative. However, although Cornwall's many mines yielded metallic ores of most types, there was no coal. As steam power began to take over in the 18th century from water power, manual labour and horses as the motive force for driving pump machinery, the importance of coal increased — for coal was the fuel used to heat water for steam generation. Coal had to be brought to Cornwall, and this was done by sea, usually from south Wales. In return, refined mineral ores were returned on the ships for smelting into ingots at the collieries. The high cost of imported coal (a coal duty was levied by the government) was a crucial factor in the search for steam engines that used as little coal as possible. The first steam engines used in Cornwall were designed by Devon men, Thomas Savery (c.1650-1715) and Thomas Newcomen (1663/4-1729), and were operating in the county by 1702 and 1720 respectively. Though innovative for their times, the beam engines involved were cumbersome — each one occupied a whole building — and they consumed huge quantities of coal. Numerous Newcomen engines were set up in Cornish mines and they were later refurbished to improve efficiency. Trevithick watched the emergence of coal-fuelled steam as the new power source and pondered how to obtain more power from less fuel. The search for greater pumping efficiency, and ultimately more cost-effective ore production, was given added impetus in the 1770s when the Welsh began mining copper ores using open cast methods (simpler and cheaper) at Parys Mountain in Anglesey. Cornish mines had to compete. In 1754, to assess the efficiency of individual steam engines and compare performance with other engines, John Smeaton (1724-92) developed the concept of 'duty'. An engine's duty is the pounds weight (454g) of water raised one foot (305mm) for each bushel of coal used. In Cornwall, a bushel was usually taken to be 94lb (42.7kg). The resulting figure is expressed in millions, and the higher the figure the better. Such was its importance that in 1811, engineer Joel Lean (1749-1812) began recording the duties of Cornish pumping engines in his publication Engine Reporter. The 1720 Newcomen engine installed at Ludgvan-Lez (Wheal Fortune) mine had a duty of approximately 4.3 million. By 1775 higher efficiencies were being achieved. A Newcomen-type engine built to Smeaton's design at Chacewater mine had a duty of 7.4 million and a second-hand Newcomen engine from Carloose rebuilt at Dolcoath by Trevithick's father, who redesigned its boiler, had a duty of around 10 million. James Watt senior (1736-1819) improved steam engine design further by introducing a separate condenser. The engine's cylinder remained hot, conserving energy through the principle of latent heat, while the steam condensed in a cold vessel to produce the vacuum required to force the piston down under atmospheric pressure (equivalent to 101.325kN per sq m). In 1775, Watt went into partnership with Matthew Boulton (1728-1809) to make engine components at Boulton's works at Soho in Birmingham, West Midlands, and their engines were covered by a series of patents that ran from 1775 until the last day of 1799. The first Boulton & Watt steam engines in Cornwall had been installed at Wheal Busy (Chacewater) and Ting Tang (Redruth) mines in 1777, when Trevithick was a boy of 6 years old. Between 1784 and 1788 Boulton & Watt installed 18 pumping engines and one whim (winding) engine in Cornish mines. By 1798 the four best Boulton & Watt engines had an average duty of 28.9 million. The engines were built to Boulton & Watt's design by Cornish engineers and — except for intricate parts such as valve gear supplied from Birmingham — were made in Cornish foundries. In return, Boulton & Watt asked for annual payments of one-third of the value of the coal saved over Newcomen engines of similar power. The eastern mines of the Gwennap area adopted the Boulton & Watt engines in preference to any others available. But the western mines of the Camborne, Illogan and Redruth areas opposed Boulton & Watt's engines — partly because the eastern mines accepted them. At first, mine owners paid up because they were saving money. However, during the 1780s they became resentful and reluctant to pay huge sums for technology that because of limitations imposed by the patents, was not really developing. By the time Trevithick was working at Eastern Stray Park in 1790, they believed their own engineers were experienced enough to build engines equal to or better than anything Boulton & Watt was offering, and which would therefore be cheaper to operate. Meanwhile, Trevithick was gaining experience with different types of steam engines by assisting Edward Bull (d.1797). Bull had worked for Boulton & Watt from 1779 onwards and moved to Cornwall around 1781 from Bedworth colliery near Coventry. He began working independently in 1791. His much smaller engine had its cylinder inverted directly over the mine shaft, removing the need for a rocking beam. He and Trevithick erected 10 such engines by the close of 1792. Boulton & Watt claimed Bull's engine infringed its patents and a case was brought to court on 22nd June 1793. The verdict came in December and was in Boulton & Watt's favour, subject to the opinion of the judges on the validity of the patents. Despite writs being served on Bull and Trevithick in July 1796, when the pair were in Birmingham en route for Coalbrookdale, the judges could not decide and a new trial was ordered. By associating with Bull, Trevithick had positioned himself with the Cornish engineers against the Soho company. It was about this time that Watt's son James (1769-1848) and Boulton's son Matthew Robinson (1770-1842) began to take on more of their fathers' business. They were to prove even less amenable to reducing the premiums paid on the firm's engines. Bull and Trevithick continued to erect engines, and both were employed at Wheal Treasury copper mine near Leedstown between June 1795 and May 1796, where Trevithick�s father was also working. Trevithick made fuel-saving improvements to Bull's engine by increasing its working pressure. This earned him promotion to engineer of the Ding Dong tin mines at Tredinnick north of Penzance, where he worked on another Bull engine. On 5th July 1796, mine manager Thomas Gundry wrote to Boulton & Watt claiming that Trevithick wanted to work with the firm in Soho. This may have been an attempt by Trevithick to calm things between the Cornish engineers and Boulton & Watt, or perhaps it was a means of finding out what advances were being made in Birmingham. Watt offered a three year term at a guinea a week. Trevithick didn't reply. In the same year, Trevithick appeared as a witness for Jabez Carter Hornblower (1744-1814) in Boulton & Watt's court action against Hornblower and his financial backer John Maberly (or Maberley, 1770-1845). Again, Boulton & Watt was seeking to uphold its patents. The case dragged on, until a verdict in favour of Boulton & Watt came in January 1799. It was during a December 1796 hearing that Trevithick met Davies Giddy (later Gilbert, 1767-1839) who would be both mentor and lifelong friend. Gilbert was an academic and agriculturalist who had served as High Sheriff of Cornwall (1792-3) and would serve as a Member of Parliament — for Helston (1804-6) and for Bodmin (1806-32). He had been educated at Pembroke College, Oxford, and would hold the presidency of the Royal Society (1827-30). He changed his surname on 10th December 1817 in order to meet the requirements of the will left by his wife's uncle. He had married Mary Ann Gilbert (1776-1845) on 18th April 1808 and she inherited large estates in Sussex in 1814 on condition that her family name be perpetuated. The names of their five surviving children were changed in 1818. For Trevithick, 1797 was an eventful and emotional year. He had fallen in love with Jane Harvey (1772-1868), daughter of the blacksmith John Harvey (1730-1803) who had established the prosperous foundry Harveys & Co, at Hayle in 1779. Trevithick's position at Ding Dong mine meant he was able to support a wife and family, and his marriage marked the beginning of a long association with the Harvey family and their business. Sadly, Trevithick's father did not live to see the wedding. He died at Penponds on 29th July and was buried on 1st August 1797 in Camborne. Aged 26, his son took over his father's responsibilities as mine captain. Trevithick married Jane on 7th November at St Erth parish church and they must have made a handsome couple. He had strong features with blue eyes and fair hair, while Jane was described as tall with a fair complexion and brown hair. They lived at Moreton House, near Plain-an-Gwarry in Redruth, for the first nine months and then moved to a house with workshop attached on Fore Street in Camborne. Unfortunately, Trevithick forgot to hand back the keys of Moreton House, which cost them an extra year's rent and rates. This incident illustrates Trevithick�s character — he never looked back and was always keen to move on to the next project. During the lengthy litigation between the Cornish engineers and Boulton & Watt, Trevithick's brother-in-law and friend, William West (1751-1831), a blacksmith and noted clockmaker, made model engines as court exhibits. Trevithick was thinking about engines that didn�t need a beam or a condenser, ones that could move instead of being built into an engine house. West made at least one model for him in which the engine and boiler were combined, and the little machine was said to run around the Trevithicks' kitchen. He sought Gilbert's advice on working engines using steam at a pressure of "several atmospheres" but letting the steam escape instead of condensing it. He was delighted with Gilbert's reply that "the loss of power would be one atmosphere". However, though filled with ideas about using high pressure steam, Trevithick still had work to do at the mines. He entered into negotiations with Boulton & Watt over the annual payments charged for erecting its engines, and Bull engines, at various locations but no agreement was reached. He designed and built two steam whim (winding) engines, and in 1798 he installed an improved Bull engine at Herland mine. 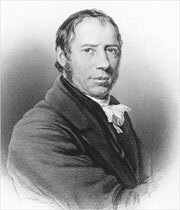 Also that year, his first child was born — another Richard Trevithick (1798-1872). As a change from steam power, Trevithick designed a 'plunger pole' pump that was worked by water pressure. The plunger moved down inside a larger diameter pole case and forced water up through the gap between the two. The first of his plunger pole pumps was installed at Prince William Henry shaft in North Roskear mine in 1798, soon followed by others at various mines. Until 1799, all the Watt-type steam engines had a condenser, but then Trevithick designed his first engine to have steam exhausted into the atmosphere rather than into a condensing vessel. It was a whim engine built at Dolcoath mine and was called a 'puffer' engine after the noise the steam made escaping. On 31st December 1799, the Boulton & Watt patents expired, much to the relief of the Cornish mine managers. The company withdrew its influence from the county in the new year of 1800, the same year that Trevithick's second child Anne (1800-76) was born. In the new century, Trevithick would move away from working in the mines developing existing engines, and apply his ingenuity to inventing bespoke machines suitable for a variety of tasks. He also realised the potential — literally — of having engines that could travel under their own steam.